Colonel Dennis Michael Royal Eagan was a British field hockey player who competed in the 1952 Summer Olympics as a member of the British field hockey team, which won the bronze medal. He played all three matches as halfback. Peter Edward Gillquist was an American archpriest in the Antiochian Orthodox Christian Archdiocese of North America and retired chairman of the archdiocese's department of missions and evangelism. He was chairman of Conciliar Press and the author of numerous books, including Love Is Now, The Physical Side of Being Spiritual and Becoming Orthodox. He also served as project director of the Orthodox Study Bible and from 1997 served as the National Chaplain of the Sigma Alpha Epsilon fraternity. The Antiochian Orthodox Christian Archdiocese of North America, often referred to in North America as simply the Antiochian Archdiocese, is the jurisdiction of the Greek Orthodox Church of Antioch in the United States and Canada. Originally under the care of the Russian Orthodox Church, the Syro-Levantine Orthodox Christian immigrants to the United States and Canada were granted their own jurisdiction under the Church of Antioch in the wake of the Bolshevik Revolution. Internal conflicts divided the Antiochian Orthodox faithful into two parallel archdioceses—those of New York and Toledo—until 1975, when Metropolitan Philip (Saliba) became the sole Archbishop of the reunited Antiochian Archdiocese. The Holy Synod of Antioch granted the Archdiocese an autonomous status referred to as Self-Rule in 2003, and by 2014 the Archdiocese had grown to over 275 parish churches. John E. Brooks, S.J., was an American Jesuit priest who joined the Society of Jesus in 1950. He served from 1970 to 1994 as the 28th president of the College of the Holy Cross, in Worcester, Massachusetts. Maurice Chevit was a French actor. Andy Samuel Griffith was an American actor, comedian, television producer, Southern gospel singer, and writer, whose career spanned seven decades of music and television. 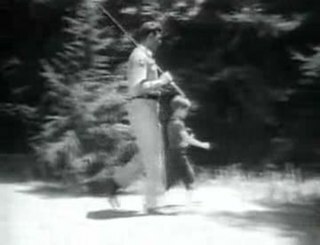 The Andy Griffith Show is an American situation comedy which aired on CBS from October 3, 1960, to April 1, 1968, with a total of 249 half-hour episodes spanning over eight seasons—159 in black and white and 90 in color. The series partially originated from an episode of The Danny Thomas Show. Ignatius Anandappa was a Sri Lankan cricket umpire. He stood in three Test matches between 1992 and 1993 and seven ODI games between 1992 and 1998. Hiren Bhattacharyya was one of the best known poet and lyricist worked in the Assamese language. He had innumerable works published in Assamese and achieved many prizes and accolades for his poetry. He is known as Hiruda among his fans. Prem aru Rodalir Kobi is his other name in the Assamese literature. Paul Birch was a British author, engineer and scientist, who has worked in radioastronomy and satellite communications, and latterly wrote full-time. Claude Howard Dorgan was an American academic best known for his research and writing on the topic of religion in Appalachia. Rob Goris was a Belgian professional road racing cyclist who rode for UCI Professional Continental Team team Accent.jobs–Willems Veranda's. Richard Anthony Greco was a minor league baseball player who hit over 300 home runs in a 12-year career that spanned from 1946 to 1957. He slugged at least 20 home runs a year from 1946 to 1952 - a stretch of seven campaigns - and had at least 30 home runs in a season five times. He hit .300 or better in 10 of the 12 years he played. He is considered, "the most prolific home run hitter from Tacoma" and was considered "the Babe Ruth of the bush leagues." Though he spent parts of four seasons at Triple-A, he never played in the major leagues. Osvaldo Blasi, 84, Argentine Olympic wrestler. Isidoro Martínez-Vela, 87, Spanish Olympic swimmer. Émile Kets, 88, Belgian Olympic basketball player. Hernán Raffo, 83, Chilean Olympic basketball player. ↑ "HOCKEY INTERNATIONALS CLUB". July 20, 2012. ↑ "In Memoriam - Archpriest Peter E. Gillquist". Orthodox Church in America. July 2, 2012. Retrieved July 4, 2012. ↑ Harpster, David. "Baseball great, Tiger standout Mike Hershberger remembered". Indeonline.com. Archived from the original on January 3, 2013. Retrieved July 5, 2012. ↑ Walters, Basil (July 8, 2012). "Musician Ossie Hibbert dies in NY". Jamaica Observer. Retrieved July 9, 2012. ↑ Langer, Emily (July 2, 2012). "Evelyn Lear, premier American soprano of contemporary opera, dies at 86". The Washington Post. ↑ "Gymnastics Hall of Famer Walter Lienert made Indy his home". August 18, 2012. ↑ "Jazzpianist Fritz Pauer gestorben". burgenland.ORF.at. Retrieved 2 July 2012. ↑ "Retired Astronaut Dies In Pensacola Beach Jet Ski Accident". North Escambia. July 2, 2012. Retrieved July 2, 2012. ↑ Martin, Douglas (4 July 2012). "Jack Richardson, New York Playwright, Is Dead at 78". The New York Times. Retrieved July 6, 2012. ↑ "Odd Todnem". Store norske leksikon (in Norwegian). Retrieved 4 September 2012. ↑ "Ex-Holy Cross president, Rev. John Brooks, dead at 88 - Worcester Telegram & Gazette". telegram.com. Retrieved July 3, 2012. ↑ "Maurice Chevit est mort" (in French). Next.liberation.fr. Retrieved July 2, 2012. ↑ "Ben Davidson, Defensive End for Renegade Raiders, Dies at 72". nytimes.com. July 3, 2012. Retrieved 2 August 2012. ↑ "Konsertpioner Gunnar Eide er død". Nrk.no. Retrieved 2012-09-06. ↑ Carter, Bill (2 July 2012). "Julian Goodman Dies at 90; Led NBC | AP Entertainment". NY Times. Retrieved July 3, 2012. ↑ "訃報：小山勉さん75歳 元男子バレー日本代表監督". Mainichi.jp. Archived from the original on July 7, 2012. Retrieved July 3, 2012. ↑ "L'ultimo saluto a Angelo Mangiarotti" (in Italian). Blog.atcasa.corriere.it. 2009-09-17. Retrieved 2012-08-27. ↑ "ARQUEOTROP: Betty J. Meggers dies (1921-2012)". Arqueologiadaflorestatropical.blogspot.co.uk. Retrieved 2012-09-07. ↑ "Harding graduate Stroud dies at 72". tribtoday.com. 6 July 2012. Retrieved October 19, 2012. ↑ "Schatjes-regisseur Ruud van Hemert overleden". Nu.nl. Retrieved 12 July 2012. ↑ "Death of Nguyễn Hữu Có" (in Vietnamese). July 3, 2012. Retrieved July 3, 2012. ↑ "BREAKING NEWS: Friend Says Andy Griffith Has Died". WITN. July 3, 2012. Retrieved July 3, 2012. ↑ "Elhunyt Gruber Hugo" . Retrieved July 3, 2012. ↑ Judith Cruickshank (17 July 2012). "Leo Kersley obituary". London: Guardian. Retrieved July 17, 2012. ↑ Kumar, Anita (July 3, 2012). "Virginia Sen. Yvonne Miller dies". The Washington Post. Retrieved July 3, 2012. ↑ "Ferrari designer Sergio Pininfarina dies at 85". IGN. July 3, 2012. Retrieved July 3, 2012. ↑ Chuck Norton (July 6, 2012). "RIP Hollie Stevens". Dead Journalist. Archived from the original on December 13, 2013. Retrieved July 6, 2012. ↑ "Former U.S. Rep. Richard "Rick" A. Tonry dies at 77 years old". nola.com. July 5, 2012. ↑ "General News Stories". Gibnews.net. Retrieved July 5, 2012. ↑ Janelle Bitker (July 5, 2012). "Daphne Zepos, Cheese School of S.F. co-owner, dies". San Francisco Chronicle . ↑ "Ignatius Anandappa". ESPN Cricinfo. Retrieved 2013-07-01. ↑ Holmesby, Russell (July 4, 2012). "Bennett obituary". St Kilda Football Club. Archived from the original on July 7, 2012. Retrieved July 4, 2012. ↑ "Poet Hiren Bhattacharyya passes away". The Assam Tribune. July 4, 2012. Archived from the original on May 14, 2014. Retrieved July 4, 2012. ↑ "Writer Paul Birch dies". Iwcp.co.uk. Archived from the original on 2012-10-20. Retrieved July 15, 2012. ↑ "Boxer Jimmy Bivins dead at the age of 92". wkyc.com. Archived from the original on December 11, 2012. Retrieved July 5, 2012. ↑ "Bishop Vinzenz Guggenberger". Catholic-Hierarchy.org . David M. Cheney. Retrieved 21 January 2015. ↑ "부산 수비수 정민형, 차량에서 숨진 채 발견…자살 추정 - Daum 스포츠" (in Korean). Sports.media.daum.net. 5 July 2012. Retrieved 5 July 2012. ↑ "Karen Keesling obituary". Obits.dignitymemorial.com. Retrieved 2012-08-08. ↑ "Ex-Footballer Sam Ojebode Is Dead". Naijagists.com. 4 July 2012. Retrieved 8 July 2012. ↑ "Comedian Eric Sykes dies, aged 89". BBC.co.uk. 4 July 2012. Retrieved 4 July 2012. ↑ "Head of the Legislative Council of South Kordofan, Ibrahim Mohammed Balandiya, killed". radiodabanga.com. Archived from the original on 8 July 2012. Retrieved 8 July 2012. ↑ "Former Westchester Football Star Charles Drake is Dead at 30". Sportsjournalla.com. Archived from the original on July 13, 2012. Retrieved July 12, 2012. ↑ "Congo: décès de Charles Ganao, ancien Premier ministre de Lissouba". 6 July 2012. Retrieved 8 July 2012. ↑ "Hani al-Hassan Passes Away". metronews.ca. 6 July 2012. Retrieved 6 July 2012. ↑ "Bruce Kendall (†) was larger than life". Adn.com. 2012-07-14. Archived from the original on 2012-07-19. Retrieved 2012-09-06. ↑ "Sierra Leone mourns: Mrs Alice Koroma, mother of the president, dies". Switsalone.com. Retrieved July 12, 2012. ↑ "Popular former Winnipeg mayor Bill Norrie passes away at 83". metronews.ca. July 6, 2012. Retrieved July 6, 2012. ↑ "Angelo Paternoster obituary". nj.com. Retrieved July 6, 2012. ↑ "Obituary: Sebastian Pecjak". PDC.tv. Retrieved 6 July 2012. ↑ "BC chef Anthony Sedlak dead". Toronto Sun . Retrieved July 9, 2012. ↑ Panzar, Javier (July 20, 2012). "Alvin Ulbrickson Jr., Olympic rower and UW administrator, dies at 81". Seattle Times . ↑ "RENATO BEGHE's Obituary by The Washington Post". Legacy.com. 2012-07-07. Retrieved 2013-02-01. ↑ "Archbishop Paul Coussa". Catholic-Hierarchy.org . David M. Cheney. Retrieved 21 January 2015. ↑ "Ronaldo Cunha Lima morre aos 76 anos". band.com.br (in Portuguese). 7 July 2012. Retrieved 8 July 2012. ↑ "L'humoriste Mouss Diouf est mort". liberation.fr (in French). 7 July 2012. Retrieved 8 July 2012. ↑ "Drowning victim identified". Journal Times. July 9, 2012. Retrieved July 9, 2012. ↑ "Re-Member Database". Archived from the original on 2013-10-06. ↑ "Ralph Raymond LOFFMARK Obituary". Legacy.com. Retrieved July 18, 2012. ↑ "In Memory of Jerry Lee Norman" . Retrieved July 15, 2012. ↑ Leigh, Spencer (10 September 2012). "Alf Pearson: Singer who moved successfully from music hall and variety". The Independent. Retrieved 7 February 2019. ↑ Prentice, David (9 July 2012). "Former Everton FC left-back Jimmy Tansey dies aged 83" . Retrieved 9 July 2012. ↑ "Prince Mohammed bin Saud bin Abdulaziz dies abroad". Saudi Gazette. 8 July 2012. Archived from the original on July 30, 2013. Retrieved July 8, 2012. ↑ "Quaker company director who became Oxfam chairman". Henleystandard.co.uk. 23 July 2012. Archived from the original on 3 February 2014. Retrieved 23 August 2012. ↑ "Uncle Lionel Batiste, Treme Brass Band bass drummer, dies". The Times-Picayune. 8 July 2012. Retrieved 8 July 2012. ↑ Gates, Anita (July 8, 2012). "Spokesman: Oscar-winning film star Ernest Borgnine dies in LA at age 95". New York Times. Retrieved July 8, 2012. ↑ "Deceased Lords". Parliament website. Retrieved July 18, 2012. ↑ "Senator Datong dies in Plateau". Daily Times NG. 8 July 2012. Archived from the original on 10 July 2012. Retrieved 8 July 2012. ↑ Yardley, William (15 July 2012). "Philip Fradkin, Writer Who Explored Themes of the West, Dies at 77". postgazette.com. Retrieved July 15, 2012. ↑ Prof. William Innes Homer dies. University of Delaware, July 24, 2012. ↑ "Costume designer Martin Pakledinaz dies". Variety. Retrieved July 8, 2012. ↑ Yardley, William (July 21, 2012). "Stuart R. Schram, Nuclear Physicist and Mao Scholar, Dies at 88". New York Times. Retrieved July 28, 2012. ↑ Вечерний Харьков. Умер Борис Шрамко (in Russian). Vecherniy.kharkov.ua. Archived from the original on 3 March 2016. Retrieved 19 July 2012. ↑ "Former Gophers great, NFL lineman John Williams dies". Star Tribune. July 9, 2012. Retrieved July 9, 2012. ↑ "Mario de Leon Baltazar". GCatholic.org. July 12, 2012. Retrieved July 12, 2012. ↑ "3-time NCAA basketball champ Kenny Heitz dies". Journal Times. July 9, 2012. Retrieved July 12, 2012. ↑ "Chick King". Paris Post-Intelligencer. 11 July 2012. Retrieved 19 October 2012. ↑ "Former Cook Islands PM, Sir Terepai Maoate, has died". Radio New Zealand International. July 9, 2012. Retrieved July 10, 2012. ↑ "Jacqueline Mazéas n'est plus | Fédération Française d'Athlétisme". Athle.fr. July 18, 2012. Retrieved July 22, 2012. ↑ "Miinnehoma, winner of the 1994 Grand National, dies at the age of 29". The Telegraph. London. July 9, 2012. Retrieved July 9, 2012. ↑ "Bishop René Joseph Rakotondrabé". Catholic-Hierarchy.org . David M. Cheney. Retrieved 21 January 2015. ↑ Singer, Reid. "Gallerist Denise René, Known as the "Pope of Abstraction" for Championing Op and Kinetic Art, is Dead at 99". Artinfo. Archived from the original on July 11, 2012. Retrieved July 10, 2012. ↑ Edward Lucie-Smith (19 July 2012). "Zsuzsi Roboz dies at age 82". London: Guardian. Retrieved 19 July 2012. ↑ D. Abernethy, Michael (July 23, 2012). "Martial arts association dedicates Burlington headquarters, remembers founder". Times-News (Burlington, North Carolina). Retrieved 28 August 2012. ↑ "Brian Thomas, Neath and Wales rugby player and coach, dies". BBC News. July 9, 2012. Retrieved July 9, 2012. ↑ "Widow of Nat 'King' Cole, mother of Natalie Cole dies of cancer at 89 in South Florida". News.yahoo.com. Retrieved July 12, 2012. ↑ "Politica in lutto, è morto Michele Columbu". La Nuova Sardegna. 11 July 2012. Retrieved 4 August 2012. ↑ "Jazz breaking news: Saxophonist Lol Coxhill Dies Age 79". Jazzwise. 10 July 2012. ↑ "Dolphy passes away". Philippine Daily Inquirer. 10 July 2012. Retrieved July 10, 2012. ↑ Naedele, Walter. "Pianist, concentration camp survivor Marian Filar". Philly.com. Retrieved July 14, 2012. ↑ "Ex-lawmaker dies in Homer plane crash". Anchorage Daily News. Archived from the original on July 12, 2012. Retrieved July 11, 2012. ↑ "Former Maine Congressman Peter Kyros dies at 86". MPBN.net. Archived from the original on November 13, 2012. Retrieved July 12, 2012. ↑ "10 Juli 2012: Fritz Langanke ist verstorben". Infoportal Dortmund. 12 July 2012. Archived from the original on 18 July 2012. Retrieved 15 July 2012. ↑ "Gaylon Lawrence dead at 78". The Daily Dunklin Democrat. July 11, 2012. Retrieved 2012-10-06. ↑ "Berthe Meijer, Dutch Jewish author and Holocaust survivor, dies at 74". Haaretz. The Associated Press. 11 July 2012. Retrieved 14 July 2012. ↑ "Bjørn Blakstad". Store norske leksikon (in Norwegian). Archived from the original on 22 February 2013. Retrieved 24 July 2012. ↑ "Former state rep., Whitley County teacher Dewayne Bunch dies". thenewsjournal.net. Archived from the original on July 3, 2013. Retrieved July 11, 2012. ↑ "LA MUERTE DE HECTOR CORNEJO CHAVEZ". Elpueblo.com.pe. Archived from the original on 16 April 2013. Retrieved 26 August 2012. ↑ Finz, Stacy (July 11, 2012). "American cooking legend Marion Cunningham dies at 90". San Francisco Chronicle. ↑ "TZUM - Nieuws: Rutger Kopland overleden (1934–2012)". TZUM. Retrieved 15 July 2012. ↑ Shields, John (July 12, 2012). "Celtic fans loved Joe.... he was one of their own". The Scottish Sun. News International. Retrieved July 12, 2012. ↑ "Bobby Nicol". www.hibernianfc.co.uk. Hibernian FC. July 17, 2012. Archived from the original on December 3, 2013. Retrieved July 17, 2012. ↑ Slevin, Colleen (July 11, 2012). "Richard Scudder Dead: MediaNews Co-Founder And Newspaper Pioneer Dies At 99". huffingtonpost.com. Retrieved July 12, 2012. ↑ Robert Service (20 August 2012). "Harold Shukman obituary | Books | guardian.co.uk". London: Guardian. Retrieved 2013-07-18. ↑ Savard, Joe (July 11, 2012). "André Simon" . Retrieved 12 July 2012. ↑ McFadden, Robert D. (11 July 2012). "Marvin S. Traub, who Made Bloomingdale's a Home of Style, Dies at 87". The New York Times. Retrieved July 11, 2012. ↑ "Mushtaq salutes Alimuddin as ex-opener dies at 81". Pakistan Today. Retrieved 12 July 2012. ↑ "Birmingham City: Blues legend Eddy Brown dies age 86". BirminghamX Mail. Retrieved 12 July 2012. ↑ "Beauty queen-turned-activist Maita Gomez dies". ABS-CBNnews.com. Retrieved 12 July 2012. ↑ "Archbishop Pier Luigi Mazzoni". Catholic-Hierarchy.org . David M. Cheney. Retrieved 21 January 2015. ↑ Fox, Margalit (13 July 2012). "Else Holmelund Minarik, Author of Little Bear Books, Dies". The New York Times. Retrieved July 15, 2012. ↑ "M Anto Peter News, Stories, Photos, Videos, Blogs & Talks". Ibnlive.in.com. 2012-07-13. Retrieved 2013-07-18. ↑ "George Stoney, Father of Public Access R.I.P." Cctv.org. Retrieved 2012-07-13. ↑ Walker, Tony (28 July 2012). "War writer shaped political opinion: Denis Warner, 1917-2012". The Sydney Morning Herald . Retrieved 2013-06-27. ↑ "KC high school basketball legend Warren Jabali dies at 65". Kansas City Star. Retrieved 2012-07-15. ↑ "Zmarł Jerzy Kulej. "Jurek poczuł się źle, kiedy przyszły upały"". polskieradio.pl. Retrieved 2012-07-15. ↑ "Makeup artist Wayne Massarelli dies at 62". Variety. Retrieved July 20, 2012. ↑ "Deaths in July 2012" (in Norwegian). Storting. ↑ 中国著名水利水电工程专家潘家铮院士逝世 (in Chinese). News.xinhuanet.com. Retrieved 2012-07-17. ↑ Richardson, Clare (2012-07-13). "Hanifa Safi, Head Of Women's Affairs In Afghan East, Killed By Bomb". Huffington Post. ↑ "Coroner: Sage Stallone died from heart condition". Yahoo! Movies. Associated Press. Retrieved 31 August 2012. ↑ Amy McConnell Schaarsmith (2012). Pittsburgh Post-Gazette: Obituary of Jerry Starr. Retrieved October 20, 2021. ↑ "Producer Richard D. Zanuck Dies at 77" . Retrieved July 13, 2012. ↑ "Frank Burns, former Rutgers football coach, dies at 84". nj.com. Retrieved 14 July 2012. ↑ "Si è spento Ennio Cardoni, Grifone degli anni '50" (in Italian). Pianeta Genoa 1893. 27 April 2009. Retrieved 15 July 2012. ↑ "CO-DRIVER KILLED IN A RALLY CRASH IN THE CZECH REPUBLIC". F1 Pulse. Archived from the original on 2014-02-22. Retrieved 11 February 2014. ↑ "Philip Crosland". The Times . 7 August 2012. Retrieved 1 November 2012. ↑ "Egypt's 'Poet of the Short Story' dies at 75". Egypt Independent. Archived from the original on 23 July 2012. Retrieved 16 July 2012. ↑ "Former Rice legend King Hill passes away". yourhoustonnews.com. Retrieved 14 July 2012. ↑ "HOUSE". London: Daily Telegraph. Retrieved 18 July 2012. ↑ "Senior Afghan Officials Targeted in Deadly Attacks". The Wall Street Journal. Retrieved 14 July 2012. ↑ Bushell, Garry. "Fighting hardman Roy "Pretty Boy" Shaw dies, aged 76". Daily Star. Retrieved 15 July 2012. ↑ "A los 93 años muere el ex senador y ministro Enrique Silva Cimma". Emol. Retrieved 14 July 2012. ↑ Sidney O. Smith Jr., 88: Former U.S. district judge, dies. ↑ "Tsilla Chelton obituary". guardian.co.uk. 22 July 2012. Retrieved 27 August 2014. ↑ "Bishop Manuel Eguiguren Galarraga, O.F.M." Catholic-Hierarchy.org . David M. Cheney. Retrieved 21 January 2015. ↑ "Former ACU, NFL lineman, Grant Feasel, passes away at age 52". KTXS.com. Archived from the original on 19 July 2012. Retrieved 15 July 2012. ↑ "Death: FRASER, Sir David". The Daily Telegraph. London. ↑ "Ovadia Harari, Former Executive Vice President & COO of Israel Aerospace Industries and Director of the 'Lavi' Fighter Aircraft Program Has Passed Away". Israel Aerospace Industries. 16 July 2012. Retrieved 30 July 2012. ↑ "'Gentleman's Agreement' actress Celeste Holm dies". CNN. Retrieved 15 July 2012. ↑ "The passing of Muzharul Islam". Thedailystar.net. Retrieved 20 July 2012. ↑ 小町定さんの想い出断章｜写真家「神立尚紀（こうだち・なおき）」のブログ ※禁無断転載 (in Japanese). Ameblo.jp. Retrieved 22 July 2012. ↑ "Chess Benefactor Jacqueline Piatigorsky Dies at 100". Main.uschess.org. 1911-11-06. Retrieved 2012-07-20. ↑ "Commandant Annie Spencer". The Telegraph. London. 15 August 2012. Retrieved 4 September 2012. ↑ "Bill Asher, famed 'I Love Lucy' and 'Bewitched' director, dies in Palm Desert". mydesert.com. Retrieved 2012-07-16. ↑ "Motown bassist and Funk Brother Bob Babbitt dies at 74". The Detroit News . 16 July 2012. Archived from the original on 20 July 2012. Retrieved 16 July 2012. ↑ "Seven Habits' Author Covey Dies". The Wall Street Journal. AP. 16 July 2012. Retrieved 16 July 2012. ↑ "James F. Goodrich, 99: A leader, man of the sea". theforecaster.net. Archived from the original on 2013-01-12. Retrieved 2012-07-26. ↑ Northeast Ohio. "Edward E. Hammer of Nela Park invented compact fluorescent light bulbs: news obituary". cleveland.com. Retrieved 2013-02-01. ↑ "HIV drug developer Antonin Holy dies". iCBC News. 17 July 2012. Retrieved 9 October 2013. ↑ "Ben-Ami Kadish, spy for Israel arrested at age 85, dies". JTA. 2012-07-18. Retrieved 2012-09-21. ↑ "MARTIN KENZIE BSC – 1956 to 2012 | The British Society of Cinematographers". Bscine.com. Retrieved 2013-07-18. ↑ "Перестало биться сердце 25-летнего бывшего полузащитника "Гелиоса" Тараса Киктёва". Official FC Helios Site. ua-football.com. 16 July 2012. Retrieved 16 July 2012. ↑ "Deep Purple's Jon Lord dies". NME . 16 July 2012. Retrieved 16 July 2012. ↑ "Bishop Joseph Nduhirubusa". Catholic-Hierarchy.org . David M. Cheney. Retrieved 21 January 2015. ↑ Allen, Diana; Carman, Gerry (27 September 2012). "'Girl cyclist' made history: WENDY LAW SUART, 1926-2012". Sydney Morning Herald. Retrieved 24 January 2013. ↑ "Agent who helped capture Vanunu killed in accident". Ynetnews.com. 1995-06-20. Retrieved 2012-07-18. ↑ "Zmarł Henryk Wasilewski" (in Polish). Polski Związek Lekkiej Atletyki. 2 August 2012. ↑ "'Queen of Country Music' Kitty Wells dies". 16 July 2012. Archived from the original on 18 July 2012. Retrieved 16 July 2012. ↑ "Admiral Sir David Williams dies". London: Daily Telegraph. 8 October 2012. Retrieved 8 October 2012. ↑ "Archbishop Ottorino Pietro Alberti". Catholic-Hierarchy.org . David M. Cheney. Retrieved 21 January 2015. ↑ Martin, Douglas (July 19, 2012). "Robert W. Creamer, Biographer of Babe Ruth, Dies at 90". The New York Times. Retrieved July 20, 2012. ↑ Yair Ettinger (18 July 2012). "Rabbi Elyashiv, venerated leader in ultra-Orthodox community, dies at 102". Haaretz. Retrieved 18 July 2012. ↑ Laure Costey (18 July 2012). "Jean François-Poncet est mort". Archived from the original on 2013-01-07. Retrieved 18 July 2012. ↑ "Greathead an artist even as a schoolboy". Stuff.co.nz. 4 August 2012. Retrieved 13 December 2012. ↑ Melody Parker (2012-07-24). "Long-time Courier arts critic Harvey Hess dies at 73". Wcfcourier.com. Retrieved 2012-12-11. ↑ "Rajesh Khanna passes away at 70". Indiavision news. 18 July 2012. Archived from the original on 26 January 2013. ↑ "Erneuerer des Marxismus: Robert Kurz ist tot" Spiegel Online. 20 July 2012. Retrieved 19 September 2012. ↑ Deutsche Presse-Agentur (20 August 2012). "Günther Maleuda: Früherer DDR-Funktionär Maleuda tot" (in German). Berliner Zeitung. ↑ "Hall of Fame trainer Martin dies". Chicago Tribune. 19 July 2012. Retrieved 19 July 2012. 1 2 3 "Top Syrian officials killed in major blow to al-Assad's regime". CNN. 18 July 2012. Retrieved 18 July 2012. ↑ "Ernest Toovey dies aged 90". ESPNcricinfo. 18 July 2012. Retrieved 29 July 2012. ↑ "Humayun Ahmed dies". Bdnews24.com. 2012-07-19. Archived from the original on 2012-07-21. Retrieved 2012-07-19. ↑ Martin, Douglas (19 July 2012). "Tom Davis Dies at 59; 'SNL' Writer and Comedy Partner to a Future Senator". The New York Times. Retrieved 19 July 2012. ↑ Staff (19 July 2012). "PN Dhar, a close advisor of Indira Gandhi, passes away". Articles.timesofindia.indiatimes.com. Retrieved 3 August 2012. ↑ 21 Sep 2012 (2012-09-21). "Brian Dobson". London: Telegraph. Retrieved 2013-04-01. ↑ "پدر علم جغرافیای ایران درگذشت | رادیو زمانه". Radiozamaneh. 2012-03-20. Retrieved 2012-07-20. ↑ "Archer King Dead: Broadway Agent, Producer Dies At 95". Huffingtonpost.com. 2011-12-27. Retrieved 2012-07-27. ↑ "Tony Melio dead at 80; services set for Monday, Tuesday". Calkins Media. 22 July 2012. Archived from the original on 12 October 2012. Retrieved 22 July 2012. ↑ "FC Bayern trauert um Hans Nowak" (in German). FC Bayern Munich. 19 July 2012. Retrieved 19 July 2012. ↑ "Treadmill developer dies at age 96". Fox Sports. July 24, 2012. Retrieved July 24, 2012. ↑ "Egypt's ex-spy chief Omar Suleiman dies". BBC. 19 July 2012. Retrieved 19 July 2012. ↑ "EV Thompson dies at Launceston". Bbc.co.uk. 1 January 1970. Retrieved 20 July 2012. ↑ "'Queen of Soul Food' Sylvia Woods dead at 86". CNN.com. 19 July 2012. Retrieved 2012-07-20. ↑ Loiko, Sergei L. (19 July 2012). "In Russia, attacks in Tatarstan kill cleric, injure another". Los Angeles Times. Retrieved 22 July 2012. ↑ "Sir Alastair Burnet dies aged 84". Itv.com. Archived from the original on 21 July 2012. Retrieved 20 July 2012. ↑ Staff (25 July 2012). "2nd Viscount Davidson dies". London: The Telegraph. Retrieved 26 July 2012. ↑ "Former Trojan Olympic Hurdler Davis Passes Away". usctrogans.com. Retrieved 2012-07-23. ↑ "Долгопольский Ахарон. Электронная еврейская энциклопедия". Eleven.co.il. 4 July 2006. Retrieved 27 August 2012. ↑ "Actor-stuntman Tony Epper dies at 73". variety.com. Retrieved 2012-07-31. ↑ "Morreu o historiador José Hermano Saraiva". Diariodigital.sapo.pt. Retrieved 20 July 2012. ↑ "Syria attack: Security chief Ikhtiar dies from wounds". BBC. 20 July 2012. Retrieved 20 July 2012. ↑ "Max Leo aus der Oberau verstarb am Freitag nach schwerer Krankheit im Kreise seiner Familie" (in German). Archived from the original on 27 November 2015. Retrieved 21 November 2012. ↑ Azam, Sayed (20 July 2012). "John Monteith obituary". Announce.jpress.co.uk. Archived from the original on 2013-04-20. Retrieved 27 July 2012. ↑ Sætre, Jonas (21 July 2012). "Hanne Marthe Narud er død" (in Norwegian). Norwegian Broadcasting Corporation . Retrieved 24 July 2012. ↑ "Sherman Pendergarst dies at 45". ESPN.com. 2012-07-20. ↑ Martin, Douglas (July 26, 2012). "Fioravante G. Perrotta, Influential Aide to Governor Rockefeller and Others, Dies at 80". The New York Times. ↑ Glenn, Rhonda (July 23, 2012). "Dorothy Porter, 1949 Women's Amateur Champion dies, aged 88". USGA. Archived from the original on October 15, 2012. ↑ Oliver, Greg (21 July 2012). "Goldie Rogers, dead at 61, was Cobourg through and through". Canoe Slam! Wrestling. Retrieved 26 July 2012. ↑ "Actor Simon Ward dies aged 70 after long illness". London: The Telegraph. 22 July 2012. Retrieved 22 July 2012. ↑ "Veteran actor Ismail Hutson dies". Archived from the original on 2012-07-21. Retrieved 2012-07-21. ↑ "Memoria Chilena: Miguel Arteche (1926-2012)" (in Spanish). Memoriachilena.cl. Retrieved 28 August 2012. ↑ "Wanderers' 1953 FA Cup Final goalscorer Eric Bell dies, aged 82". Theboltonnews.co.uk. Retrieved 23 July 2012. ↑ "Ding Guangen, Former China Propaganda Chief, Dies at 83". The New York Times. 22 July 2012. Retrieved 22 July 2012. ↑ Staff (23 July 2012). "Kashinath Jhalmi passes away". Articles.timesofindia.indiatimes.com. Retrieved 28 September 2012. ↑ "Ernie Machin passes away". ccfc.co.uk. Retrieved 23 July 2012. ↑ "PASSINGS: John Finnegan, Nan Merriman, Sidney Reznick". latimes.com. 2 August 2012. Retrieved 2012-08-03. ↑ Hotchkiss, Michael. "George Miller, Princeton psychology professor and cognitive pioneer, dies". Princeton.edu. Retrieved 2012-07-27. ↑ "America Magazine RIP Vincent O'Keefe, SJ". Americamagazine.org. 2012-07-24. Retrieved 2012-12-09. ↑ Oswaldo Payá dies, aged 60. ↑ "Actress Fern Persons dies at 101". Variety. Retrieved 2012-07-26. ↑ Sperling, Nicole (24 July 2012). "Frank Pierson dies at 87; Oscar-winning screenwriter". Los Angeles Times. Retrieved 25 July 2012. ↑ AV: pål andreas mæland. "Håkon Randal er død" (in Norwegian). bt.no. Retrieved 2012-08-28. ↑ "Помер Богдан Ступка" . Retrieved 22 July 2012. ↑ Grady, Denise (August 5, 2012). "Warren Winkelstein Jr., 90, Medical Sleuth". The New York Times. ↑ Denise Grady, "Thelma Glass, Organizer of Alabama Bus Protests, Dies at 96"
↑ Falleció Themo Lobos, gran dibujante del comic chileno y padre de "Mampato"
↑ Norman Markowitz, Michael Nash's Work Lives On: Historian, Archivist, Teacher-Activist"
↑ "Television antiques expert David Barby dies, aged 63". Bbc.co.uk. 2004-08-19. Retrieved 2012-07-29. ↑ "Air Commodore James Coward". The Telegraph. London. 2 September 2012. ↑ Jamie Stengle. "'Born to Shop' author Suzy Gershman dies at 64". News.yahoo.com. Retrieved 2012-07-31. ↑ "Film writer-director B R Ishara passes away in Mumbai". Netindian.in. 2012-07-22. Retrieved 2012-07-26. ↑ Archive: 7/25/2012 (25 July 2012). "TV Producer Who Fought Nazis Passes Away in Israel". Israel National News. Retrieved 28 October 2012. ↑ "LONGTIME CFL EXECUTIVE GREG MOHNS PASSES AWAY". tsn.ca. 2012-07-25. Retrieved 2012-07-26. ↑ "Décès de Marceau Stricanne". Infohac.com. 25 July 2012. Retrieved 29 July 2012. ↑ Smith, Roberta (2012-07-26). "Franz West, Influential Austrian Sculptor, Dies at 65". The New York Times. Retrieved 2012-07-26. ↑ "Donald Bagley obituary by Los Angeles Times". Legacy.com. Retrieved 2012-07-30. ↑ Muchnic, Suzanne (26 July 2012). "Karl Benjamin dies at 86; painter created colorful geometric works". Los Angeles Times. Retrieved 27 July 2012. ↑ McCaffery, Scott (August 1, 2012). "First Republican State Senator from Arlington Dies at 86". Arlington Sun Gazette. Retrieved August 1, 2012. ↑ "Walter Goss". imdb.com. Retrieved 2012-07-30. ↑ "Olympic runner killed when plane crashes in Sedona". Myfoxphoenix.com. Archived from the original on 2012-07-30. Retrieved 2012-07-27. ↑ Mike Strom; The Times-Picayune (2011-11-01). "Neil Reed, former Indiana University basketball player and East Jefferson High School standout, dead at age 36". Highschoolsports.nola.com. Retrieved 2012-07-27. ↑ Downie, Graham (28 July 2012). "Nation's first chief scientist dies at 83". canberratimes.com.au. Retrieved 28 July 2012. ↑ Press Association (26 July 2012). "Doctor Who star Mary Tamm dies aged 62". London: Guardian. Retrieved 26 July 2012. ↑ T. Rees Shapiro (29 July 2012). "James D. Watkins, who led Reagan's commission on AIDS in the 1980s, dies at 85". The Washington Post. Retrieved 2012-07-29. ↑ Barnes, Mike (29 July 2012). "Character Actor Norman Alden Dies at 87". The Hollywood Reporter. Retrieved 2012-07-30. ↑ "R. G. Armstrong – Character Actor Dead at 95". We Are Movie Geeks. Retrieved 2012-07-29. ↑ "Singer, actor Darryl Cotton dies". ninemsn.com.au. Retrieved 26 July 2012. ↑ Daniels, Colin (28 July 2012). "'Coronation Street' star Geoffrey Hughes dies, aged 68". Digital Spy . Retrieved 28 July 2012. ↑ "Ex-NFL running back Art Malone dies at age 64". Msn.foxsports.com. 2012-06-29. Retrieved 2012-08-01. ↑ "US singer Tony Martin dies aged 98". bbc.co.uk. 2012-07-31. Retrieved 2012-07-31. ↑ "Russ Mayberry, TV director, dies at 86". Variety. Retrieved 2012-08-01. ↑ "Bishop Emmanuel Otteh". Catholic-Hierarchy.org . David M. Cheney. Retrieved 21 January 2015. ↑ "Bishop Bruce Allan SCHULTZ's Obituary by The Daily Examiner". Legacy.com. 2012-07-27. Retrieved 2012-12-28. ↑ Fuhrman, Bo (2012-08-08). "En ishockeykanon har tystnat" (in Swedish). Norrbottens-Kuriren . Retrieved 30 August 2012. ↑ "Jack Taylor OBE, referee of 1974 World Cup final, dead aged 82". Daily Telegraph. London. 27 July 2012. Retrieved 27 July 2012. ↑ Staff. "Jan Jakub Trąbka: Nekrologi". WspomnijBliskich.pl. Archived from the original on 2013-01-13. Retrieved 2012-08-04. ↑ "Bishop Vartan Achkarian, C.A.M." Catholic-Hierarchy.org . David M. Cheney. Retrieved 21 January 2015. ↑ "Archibald winner Adam Cullen dies aged 47". Sydney Morning Herald. Retrieved 29 July 2012. ↑ Harte, Negley (1 October 2012). "Professor Phyllis Deane: Leading and influential figure in the field of economic history". The Independent. London. Retrieved 2012-10-02. ↑ "Knesset Member Amos Degani" . Retrieved 2012-07-30. ↑ Staff. "Anglo-Irish peer steeped in Catholicism". The Irish Times. Retrieved 14 August 2012. ↑ "Colin Horsley obituary". Radionz.co.nz. Retrieved 2012-08-01. ↑ "Carol Kendall obituary by The Lawrence Journal-World". Obituaries.ljworld.com. Retrieved 2012-07-29. ↑ "Author James Marriott dead (1972–2012)". University of Bristol. 17 August 2012. ↑ "William F. Milliken obituary by Buffalo News". Legacy.com. Retrieved 2012-07-30. ↑ "Ruth Mott: Cast and Crew Tributes". thehorticulturalchannel.info. Archived from the original on September 20, 2012. Retrieved August 7, 2012. ↑ "Surrey and Gloucestershire allrounder David Thomas dies". ESPN Cricinfo. Retrieved 2012-07-30. ↑ "Russische Ex-Nationalspielerin Tatiana Egorova verstorben" (in German). womensoccer.de. 1 August 2012. ↑ "PASSING: John Finnegan". latimes.com. 2 August 2012. Retrieved 2012-08-02. ↑ "August Kowalczyk, Auschwitz 1942 Escape Survivor, Dead". The Huffington Post. 30 July 2012. Retrieved 30 July 2012. ↑ "Chris Marker". London: The Telegraph. 2012-07-30. Retrieved 2012-08-29. ↑ "Statement by the Honourable James Moore, Minister of Canadian Heritage and Official Languages, on the Passing of Suzanne Martel". Canadian Heritage. Ottawa. July 31, 2012. Retrieved 22 December 2012. ↑ "Archaeologist James Mellaart dead". London: The Daily Telegraph. 3 August 2012. ↑ Meera Srinivasan (30 July 2012). "Vempati Chinna Satyam no more". The Hindu. Chennai, India. Retrieved 2012-08-01. ↑ "German chemist Heinz Staab dead" (in German). Mpg.de. Retrieved 2012-08-04. ↑ "AGF-legende og tidligere anfører er død". Politiken. Archived from the original on 30 July 2012. Retrieved 31 July 2012. ↑ "The writer Maeve Binchy has died aged 72, following a short illness". rte.ie. 30 July 2012. Archived from the original on 1 August 2012. Retrieved 30 July 2012. ↑ Grady, Denise (August 17, 2012). "George F. Cahill Jr., Diabetes Expert, Dies at 85". The New York Times. ↑ "Bill Doss of Olivia Tremor Control Has Died". Pitchfork Media. 2012-07-31. Retrieved 2012-07-31. ↑ "Stig Ossian Ericson har avlidit". Aftonbladet. Retrieved 21 August 2012. ↑ "The Rev Professor Christopher Evans". London: The Telegraph. 13 August 2012. Retrieved August 13, 2012. ↑ "Club mourn death of Former Manager". TheLambs.co.uk. 2 August 2012. Retrieved 2 August 2012. ↑ "Jonathan Hardy dies". nzherald.co.nz. 31 July 2012. Retrieved 2012-07-31. ↑ "Mary Louise Rasmuson Obituary". legacy.com. Retrieved 2012-08-04. ↑ Andrew Graham-Yooll (31 July 2012). "A great writer and a wonderful human being". Buenos Aires Herald. Retrieved 31 July 2012. ↑ "Goodbye César Amaro". Classical Guitar. 2 August 2012. ↑ "Kevin Best obituary". Tributes.smh.com.au. 31 July 2012. Retrieved 11 January 2013. ↑ Douglas Martin, "Roy S. Bryce-Laporte, Who Led Black Studies at Yale, Dies at 78" (obituary), New York Times , August 8, 2012. ↑ "Archbishop Lucien Charles Gilbert Daloz". Catholic-Hierarchy.org . David M. Cheney. Retrieved 21 January 2015. ↑ Staff. "Obituary for writer Mollie Hunter". Scotsman.com. Retrieved 7 August 2012. ↑ "Померла поетеса-дисидентка Ірина Калинець". risu.org.ua. 31 July 2012. ↑ "Sydney Knowles". London: The Telegraph. 28 August 2012. ↑ "DFB trauert um FIFA-Schiedsrichter Rudolf Kreitlein". German Football Association (in German). 1 August 2012. Archived from the original on 15 November 2012. ↑ Roth, Lauren (2012-08-03). "obituary Curt Levine, former Orange/Osceola public defender and a state representative for Boca Raton". Articles.orlandosentinel.com. Retrieved 2012-08-14. ↑ Bolles, Scott (18 August 2012). "Cook served exotica to adoring millions". smh.com.au. Retrieved 18 August 2012. ↑ Smith, David (1 August 2012). "Somali comedian who mocked Islamists is shot dead". The Guardian . London. Retrieved 2 August 2012. ↑ "Mutsuko Miki, activist, wife of former prime minister, dies at 95". Asahi Shimbun . 4 August 2011. Archived from the original on 8 August 2012. Retrieved 31 July 2012. ↑ "Falleció el Veterano de Guerra Ítalo Ángel Piaggi" (in Spanish). El Malvinense. August 1, 2012. Retrieved 29 August 2012. ↑ Massimiliano Cortivo (1 August 2012). "Addio a Quarantotto, paroliere di Bocelli". Corriere della Sera (in Italian). Retrieved 1 August 2012. ↑ "Morre Alfredo Ramos, ex-lateral esquerdo e treinador do São Paulo" (in Portuguese). Esportes.terra.com.br. Archived from the original on 2012-08-03. Retrieved 2 August 2012. ↑ Умер академик Растов — Жуковские ВЕСТИ (in Russian). Zhukvesti.ru. 30 July 2012. Archived from the original on 4 August 2012. Retrieved 4 August 2012. ↑ "Bishop Stefan Siczek". Catholic-Hierarchy.org . David M. Cheney. Retrieved 21 January 2015. ↑ "Tony Sly Dead: No Use for a Name Singer Dies at 41". Spinner.ca. Retrieved 2012-08-01. ↑ McGrath, Charles (August 1, 2012). "Gore Vidal Dies at 86; Prolific, Elegant, Acerbic Writer". NY Times.